A ca. 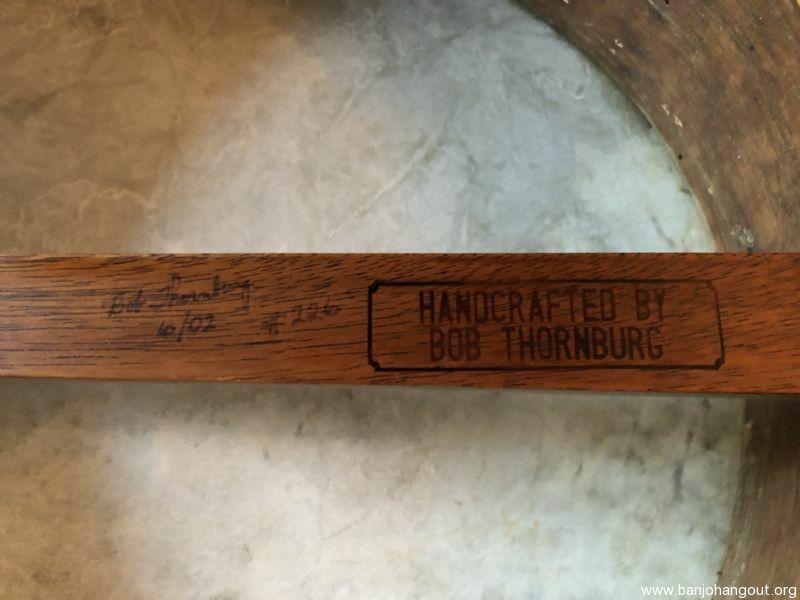 2002 Bob Thornburg grain measure banjo on offer ~ the #226 banjo from his Bishop California shop. Gobsmack padauk on the fingerboard and peghead. 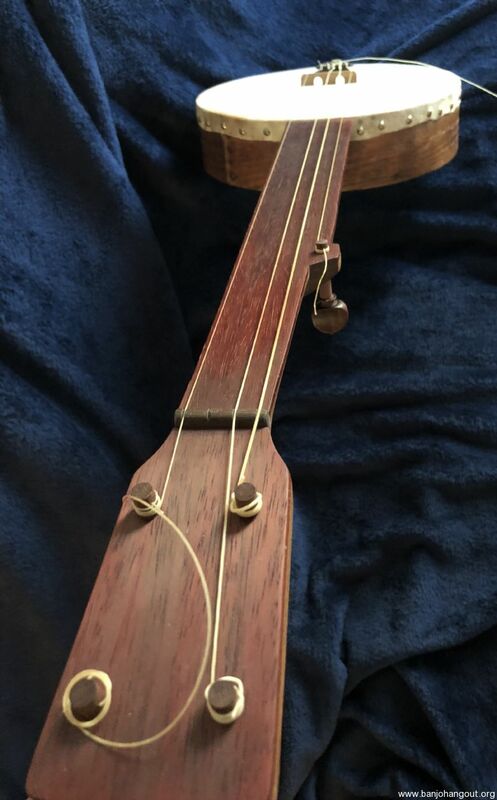 Save a snapped second string (I'm all out of gut strings) this is in excellent condition. 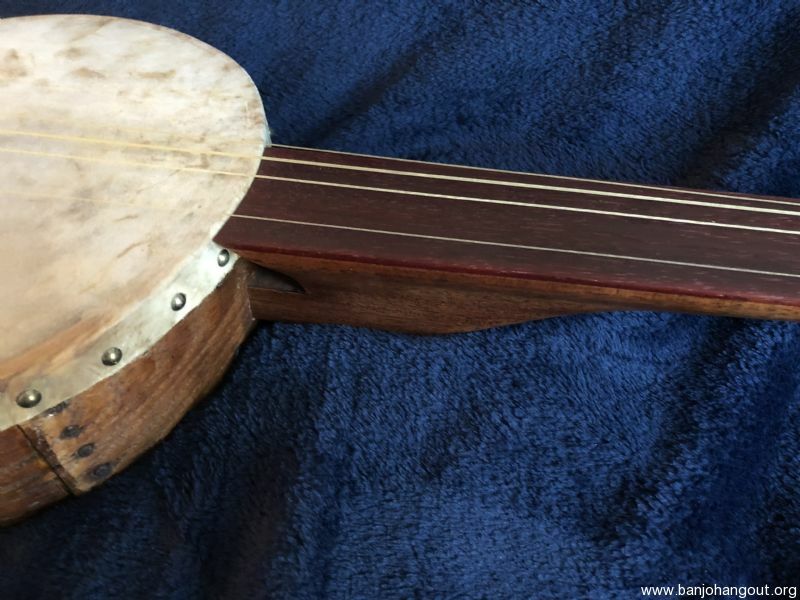 Bob writes extensively about his grain measure frame concept on his webpagenand they compete with his gourd kits for pulling into our modern day a 19th cen. 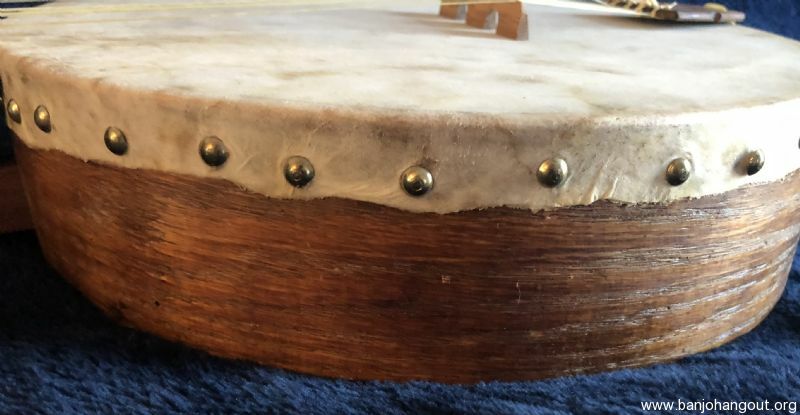 tonal character and that balm of a gut strung sound.